A PATAGONIAN PICNIC BY BERT BASSETT. 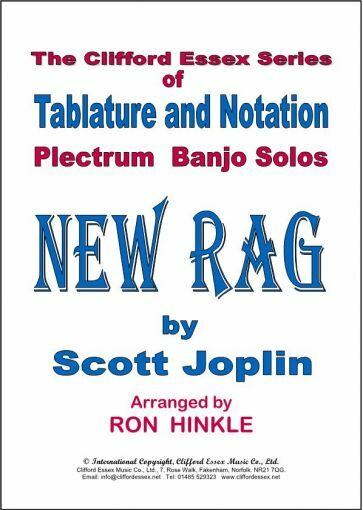 Location: /Sheet music/Plectrum Banjo/NEW RAG BY SCOTT JOPLIN, ARRANGED BY RON HINKLE. 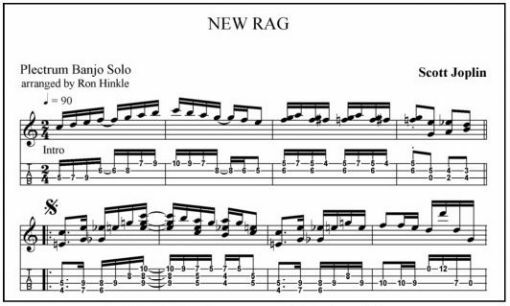 PLAY A SAMPLE OF NEW RAG. PLECTRUM BANJO MEDIUM GAUGE. 10 - 24. THE BANJO RAG BY E. K. BENNETT. ARR ALAN MIDDLETON. ELFALETHA BY JOE MORLEY. BEST SELLER.